There are no clearly revealed causes of fibromyalgia.There is a chemical in the cerebrospinal fluid (CSF) called substance P responsible for transmitting pain impulse to the brain is generally 3 times higher in patients suffering from fibromyalgia than normal persons, which causes, the feel of pain more intensely. There is another common thought that it arises due to improper sound sleep. Proper sleep relaxes the body from whole day’s hectic activities. There is no specific blood test or X-rays suggested for its diagnosis and the only possible way is by taking patient’s pain history. 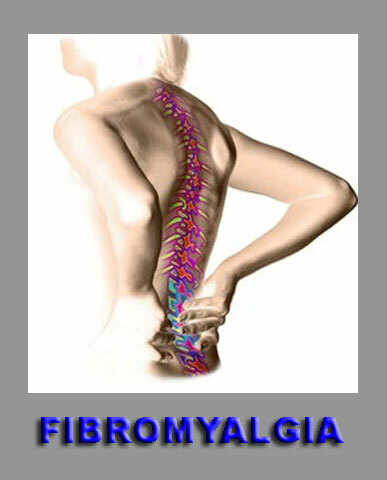 It is believed that for fibromyalgia to be diagnosed muscle pain should be there for more than three-months. Pain mostly occurs at specific sites called tender points, which are basically fibromyalgia trigger points. There are total 18 tender points and most of them are located on back and neck. Fibromyalgia experts make the examination by applying pressure at those tender points; if the patient feels discomfort at any 11 of these points then the diagnosis for fibromyalgia will be positive. As there is no proper fibromyalgia treatment available but home care remedies that can relieve some symptoms.A regular exercise for fibromyalgia keep muscles healthy by relieving discomfort. It is recommendable to always try low stress exercises like swimming, water aerobics, biking and walking rather stressful exercises such as weight lifting. Doing exercise regularly helps to keep muscles strong, boost energy levels and a sound sleep rather, applying heat to sore muscles and different stretching exercises of which Pilates is most effective. In Pilates a body uses its own weight as a resistance. There is no proper prevention as no appropriate cause is fully understood. The only possible way is to adopt a healthy lifestyle and maintaining a positive approach towards optimal health. Different painkillers and analgesics are recommended to soothe deep muscle fibromyalgia pain. Sometimes antidepressants are prescribed to increase the amount of serotonins, reduce fatigue and ease pain.SSRIs are selective serotonin reuptake inhibitors that are among the newest antidepressants. These are generally recommended along with tricyclics antidepressants that increase the restful sleep.